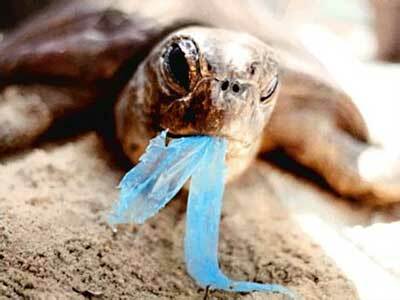 Plastic bags are bad. They clog drains and waterways, contribute to landfill (taking between 20 to 1000 years to break down), and intoxicate sea life (turtles mistake them for jellyfish, a main food source). Fortunately awareness of the harm plastic bags can cause to our natural environment is increasing. Some supermarkets and retailers use biodegradable plastic bags, which are a good start. Planet Organic go a step further providing compostable cornstarch carrier bags which are GM-free and carbon neutral. But there is no doubt the best option is to reuse bags. Companies dedicated to making trendy eco-bag accessories are providing the eco-fashion conscious with a greater incentive to remember their own bags when visiting the supermarket. They come in all varieties - recycled parachute (Onya), organic hemp cotton, organic water-based ink prints - the choice to become an eco-friendly ethical bag lady has never been more appealing. Bags of Change has recently expanded their range to include a very stylish (albeit not stylish sounding) up market wild treetap rubber bag. Not only have they given us another gorgeous carry bag but they have teamed up with a bunch of retailers like SoOrganic who provide a 5% discount on all products to ethical shoppers using Bags of Change in store. Plastic bags are now an endangered species in Ireland were there was a 90% fall in the amount given away by shops following a tax being placed on them. Earlier in the year the British Government proposed to enforce a legislation to reduce the number of plastic bags by 12 million.